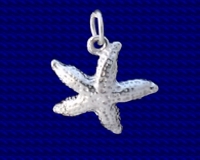 Sterling silver Salmon charm. Salmon live in the north Atlantic and Pacific oceans, swimming up rivers to breed. They are farmed intensively for food and are a very popular game fish. 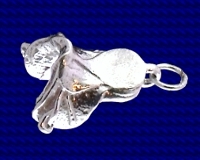 Craftsman made Sterling silver Salmon charm. Approx. 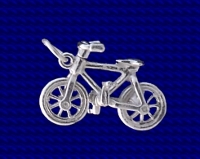 size 6mm x 24mm.